That's how Richard Ashcroft described Nick McCabe's guitar playing as sounding like in the early days of Verve. 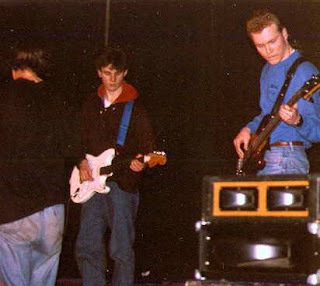 This picture of Nick McCabe was taken in Winstanley College in 1989 (at around 18 years of age), the same year Verve officially formed. Also, check out this older post with a school picture of Richard Ashcroft.